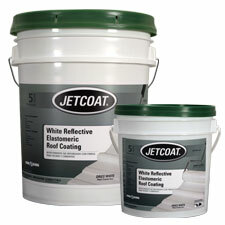 Acrylic fortified white reflective roof coating designed to cool roofs and provide energy cost savings. Designed for use on a variety of roof surfaces. Dries white. • Asphalt, mobile homes and RV’s, concrete, wood and more. Designed for use on a variety of roof surfaces. 66235 4.75 gal. Pail 55 lbs. 66231 .9 gal. Can 11.3 lbs.